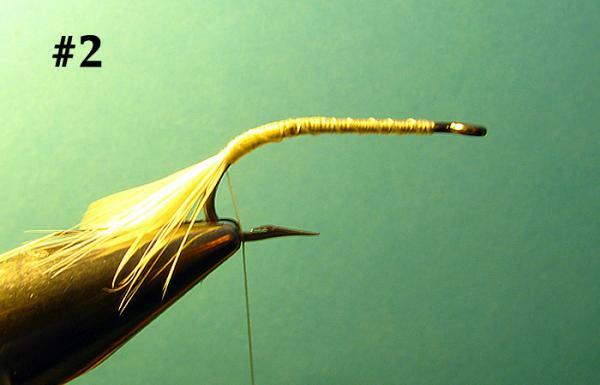 Fly of the month - The Pompano Plough by Tim Rolston. 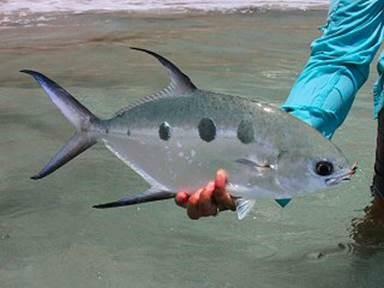 FOSAF NEWS - Fly of the month - The Pompano Plough by Tim Rolston. 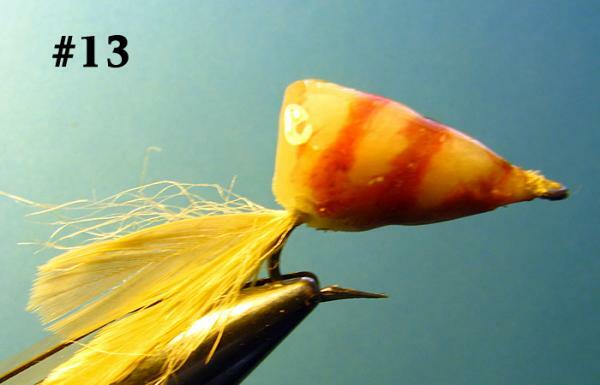 I think that the evolution of this fly is interesting in itself; whilst fishing for three spot pompano (wave trevally or wave garrick) off the coast of the Transkei I commented on the number of plough shells surfing up the beach with the tide. I had never heard of anyone copying them or even using them as bait, but as I said to my fishing companion at the time, “with this many about, something must eat them”. So, I set about trying to construct something which would look like a plough shell, fashioned from epoxy. 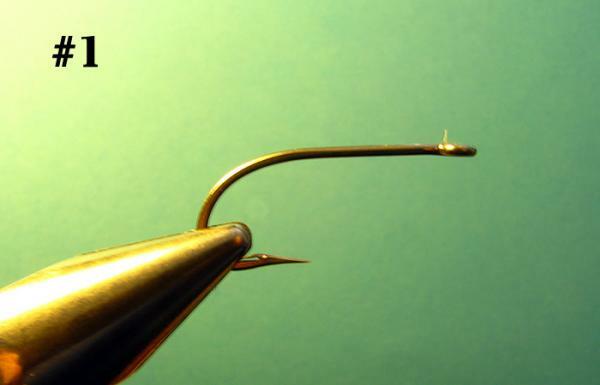 Experimentation showed the pattern to be highly effective, with a single corollary, the “foot” of the fly is essential. We found that if the “foot” were to break off then the bites dried up, and I imagine that the fish recognize this as an indication that the shell is occupied. In the surf zone there were a lot of empty shells and obviously there is little value in a fish targeting those. So the foot appears to say “Food” the lack of a foot seems to say “Don’t bother, empty shell”. So with the basic shell shape and noticeable spiral design built in and an imitation of the foot we were in business. 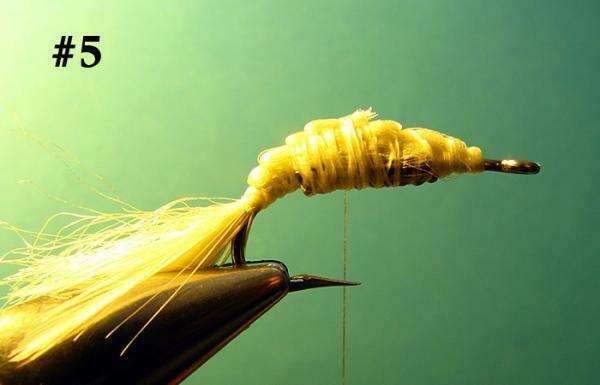 This fly is only partly “tied” and I suppose one might rather suggest that it is “constructed”. Fished with a floating or intermediate line in the pockets in the surf zone it accounted for numerous pompano, they are fascinating shallow water fish and as pretty as a picture, great fun to catch. 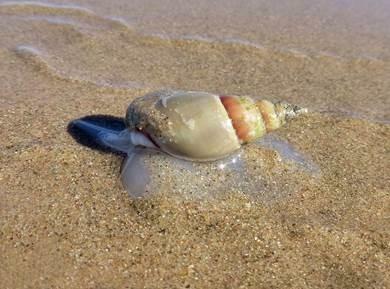 It is also interested to note the behavior of the plough shells themselves; they use their foot to catch the thrust of the waves and tide to surf in and out of the beach in search of fish and jelly fish to consume. They seem to know if the tide is coming in or going out and only surf in the appropriate direction to avoid becoming stranded. Thread: 140 denier, white or light coloured thread. Filler: White poly-yarn, antron or similar to build the basic shape. 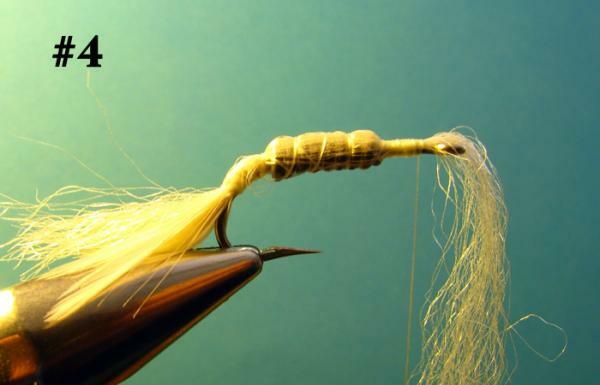 Foot: White spade hackle tips and white bucktail, calf tail or similar. 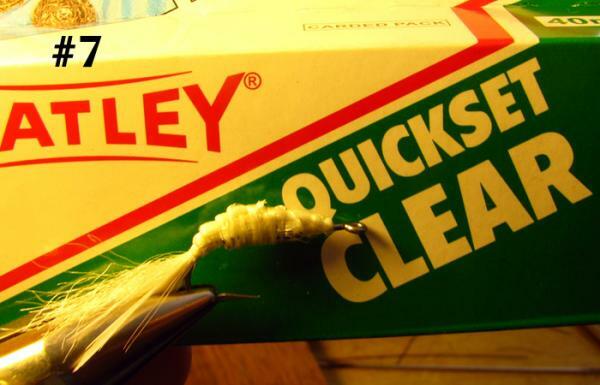 Shell: Clear quick set epoxy mixed with talcum powder to provide an opaque white finish. Spiral: Clear quick set epoxy mixed with an alternative colour powder, fullers earth, cement powder, pottery glaze powder, children’s coloured chalk crushed or similar. 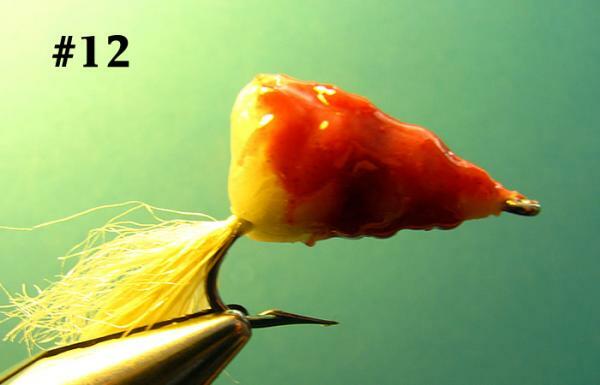 1: Place a #4 barbless saltwater hook in the vice. 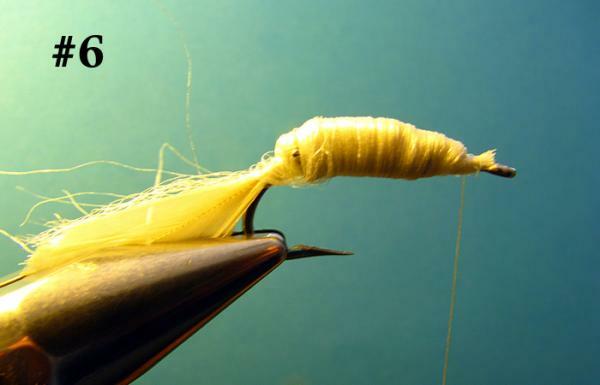 2: Wrap 120 denier white or pale thread along the shank and around the bend in touching turns. 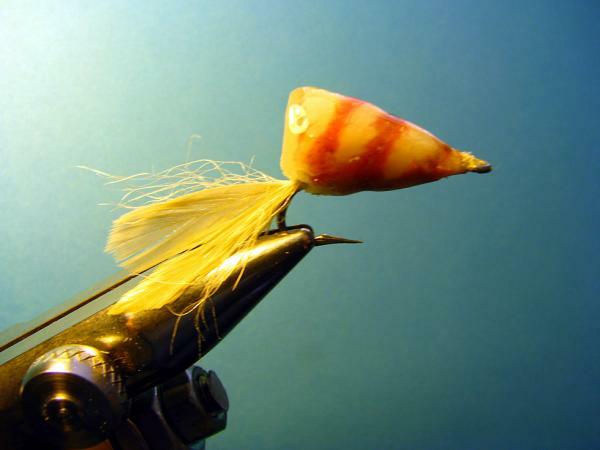 Tie in two or three white spade hackle tips , you can add some white bucktail as well if you wish, it’s more durable. 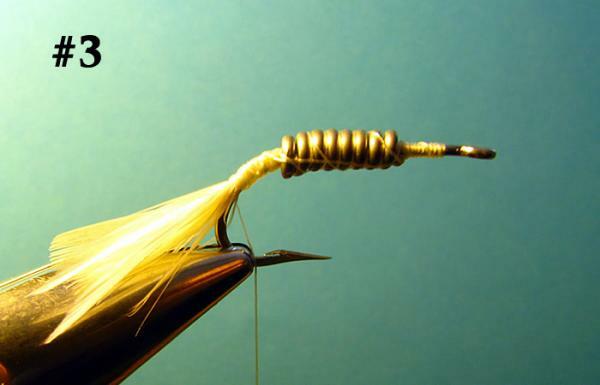 (This part of the fly is critical so I tend to overdo things a little for added lifespan should a feather break off). 3: Wrap one layer of lead wire along the shank, pulling the wire to try to get a taper, secure with additional thread wraps, (super glue if you wish). 4: Tie in poly-yarn or antron (Even white wool works fine), tie down one layer of yarn along the top of the hook shank, I usually leave the tag hanging out to further enhance the foot. 5: Then bend the yarn back and tie down on top of the first layer. Then bend it back again and tie on top of the second layer. Each time you wrap the yard towards the eye of the hook you stop a little short of the previous layer so as to build a triangular shape to the underbody. 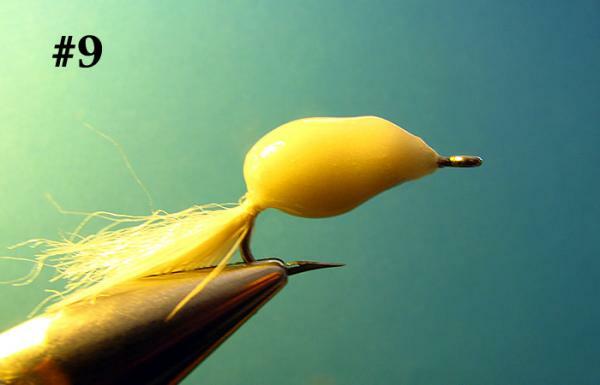 The idea is to end up with the tapered shape of the plough shell on top of the hook so as to maintain a decent hook gape in the finished fly. It is better to be reasonably neat, but not critical, you are going to cover the lot in epoxy at the end. 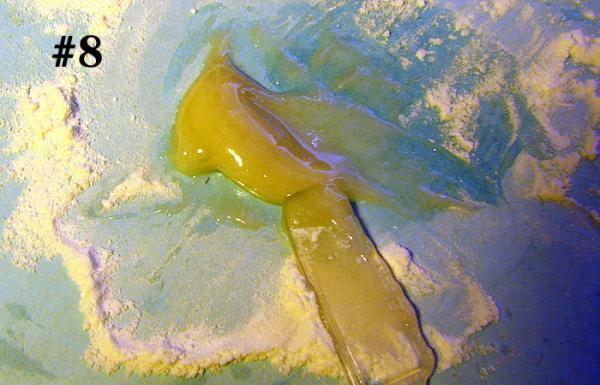 8: Mix in the specified proportions and add talcum powder to the mix to provide an opaque white paste. 9: With the underbody tied down and the basic shape of the shell formed, apply the epoxy paste to the antron underbody and constantly turn the fly to avoid dripping. You need to keep a constant eye on it, the moment it starts to set off move to the next step, time is of the essence. 10: When the epoxy is almost set off, using a wet finger stroke the epoxy to the required shape, taking care not to obscure he hook gape. 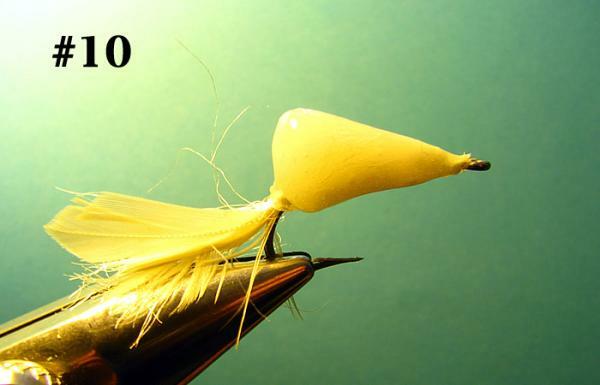 The shape you are aiming for is a rounded triangle, sitting as much as possible on the top of the hook. With a wet finger flatten the back end of the epoxy body to better represent the shape of the shell. 11: Before the epoxy is fully set, but whilst stiff enough to hold shape, take a piece of thick nylon or larva lace tubing or similar, wet it to avoid sticking to the epoxy and wind a spiral, cutting grooves into the near set epoxy. These grooves will be filled in with an alternative colour later. Remove the tubing and discard. The time period you have to do this is very short, from the epoxy being almost set to too hard to cut the grooves is a matter of less than a minute, so be ready. 12: When the epoxy is fully set, mix another small amount of epoxy and add powder of a contrasting colour, I have successfully used anything from cement to ceramic glaze powder, it doesn’t really matter, this time I used children’s chalk, you are just trying to create the counter colour of the shell spirals. Smear the alternative colour over the body and rub into the grooves with a wet finger. Then gradually keep wiping off until there is only colour in the grooves. This can be a bit troublesome and messy. But leaving the white body to fully set makes the process much easier. 13: Once set off, you can add another thin layer of clear epoxy if you wish and the fly is finished. This isn’t really a difficult pattern, although it is fiddly. 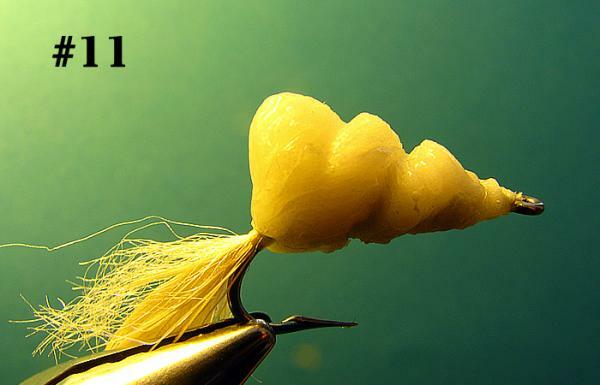 Make sure that you have all the items in place before you start tying. Having to look for something whilst the epoxy is setting and you are trying to rotate the fly in your fingers is a recipe for disaster.